BREYDEN PRODUCTS, INC. manufactures a complete line of military specification lacing tapes, twines and cords. 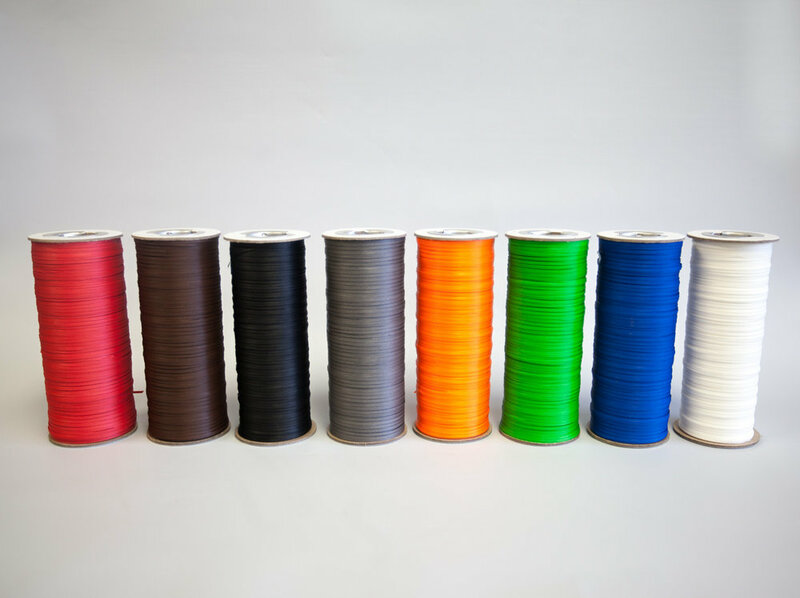 We also produce a variety of commercial grade lacing and tying materials along with a broad range of sleevings and braiding yarns utilized in the aircraft/aerospace and wire harnessing industries. Our customers include many of the industries’ leading manufacturers including Boeing, Lockheed Martin, Rolls-Royce, General Electric, Daimler-Chrysler Aerospace, British Aerospace and many others. In addition, we produce a wide range of braided tapes and twisted cords utilized in the electric motor industry for lacing stators. Breyden also produces a line of surge rope used to secure motor ends for large horsepower motors. Once again, our customers include many industry leaders including Nidec, Emerson Electric, Regal Beloit, Toshiba, Baldor and others. Our approach to the market is simple, we align ourselves with the most prominent distributors and partner with them to provide a package that allows our customers one stop shopping. We value our relationship with these distributors so much that we consider it the core competency of our company. Breyden Products Inc is a family business with over 75 years of manufacturing and selling experience in designing, manufacturing and delivering value to wire harnessing and stator lacing manufacturers around the world. We sell to over 85 countries and deliver an unprecedented value that far exceeds our customers expectations. An extensive knowledge of fibers and finishes combined with a thorough understanding of processing techniques achieves top quality products at competitive prices. This knowledge allows Breyden Products to assist industry leaders in establishing specifications more demanding and stringent than existing military specification requirements.